ANGER is mounting in Hollywood over plans by the Oscar-winning actress Jodie Foster (right) to produce and star in a movie about the woman who was Hitler's favourite film-maker. Hollywood's Jewish community is said to be "horrified" that Foster should choose to celebrate the life of Leni Riefenstahl, who championed Hitler's cause and supported the Holocaust. 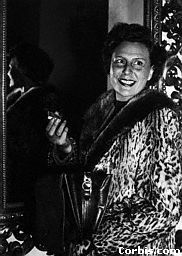 Riefenstahl, 97, is believed to be the last survivor of Hitler's inner circle. 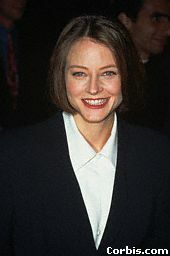 Foster, who won an Oscar for Silence of the Lambs, is credited with developing the original idea for the film. "I've been interested in Leni for many years. I talked to her on the telephone several times and then eventually met with her. She is really one of the great stories of the 20th century and a moral tale for all of us. She is an extraordinary woman - sharp as a tack and as beautiful as she ever was, with a tremendous body. "She was a tremendously gifted woman but she made a lot of ugly choices at a terrible and horrible time in history. She needs to be portrayed. There is no other woman in the 20th century who has been so reviled and so admired simultaneously." But Arnold Schwartzman, the British film-maker who won an Oscar for the Holocaust documentary Genocide, said: "A lot of people in Hollywood are horrified at this. There will be many objections." "Leni Riefenstahl was probably the best propaganda tool that Hitler had and a lot of the terrible things that happened were as a consequence of what she did. There is no doubt she was a brilliant woman and a great documentarian, but she used her skills to rouse the German people into going along with Hitler." Rabbi Marvin Hier, of the Simon Wiesenthal Centre in Los Angeles, said any attempt to glorify or glamorise Riefenstahl would be "classic revisionism". He said: "She sold Hitler to millions of people and portrayed him as a god, and now she is trying to distance herself from it. It is very easy now for her to say that she was completely detached and she wasn't infatuated with the idea of National Socialism and didn't even like Hitler. But every time I have looked at a shot of her standing next to the Führer she seems quite infatuated with him." 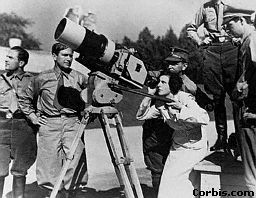 Riefenstahl came to prominence during the late Twenties and Thirties, when her genius as a photographer and film-maker were first recognised. Her most celebrated film is Olympia, which she made during the 1936 Berlin Olympics, the Games used by Hitler to promote the Third Reich. Riefenstahl's skill at using the camera to evoke images rather than simply recording them remains one of the finest examples of film-making. Lecturers often cite her as a pioneer in film-making. However, her other legacy is less impressive. In 1934, Riefenstahl made Triumph of Will. The film portrayed Hitler as a deity and is credited with being the catalyst for the Nuremberg Rallies. The film was just one of a number of propaganda films Riefenstahl made for Hitler. She has been accused of using gipsies as cheap extras in her films while knowing they were destined for concentration camps, although the charge has never been proved. In 1935, Joseph Goebbels presented Riefenstahl with the German National Film Prize. The Allies imprisoned her for three years after the war for being a Nazi sympathiser and she was barred from making films. Renee Firestone, a Holocaust survivor, said: "She may be a fantastic artist, but what her films accomplished are just as sinful as the acts themselves." 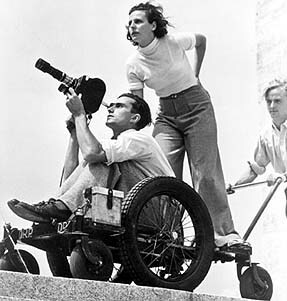 Foster's partner in her Egg Pictures production company, Meg Lefauvre, told Daily Variety, the film industry newspaper, that "it is tricky to show the how and why" Riefenstahl became Hitler's greatest press agent. The film would be "very provocative".